Late night and an early start? Banish fatigue with Remington’s Recharge Facial Brush. 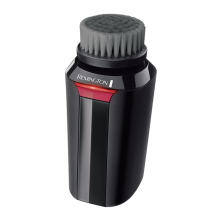 Sixty seconds of rotating bristles remove impurities, cleanse stubble and can also prepare skin for a smoother shave. Charge it up once and get 30 sessions. Skincare has never been so simple.